The Arctic is full of human stories: some are our own, some are being written today. While Antarctica’s history has been mostly without permanent human habitation, the Arctic seems the opposite. The Arctic’s stories are overwritten by occupancy, migration and extraordinary endeavours. There was the Inuit push east from Siberia through the Aleutian islands, across northern Alaska and through Nunavut to Baffin Island and Greenland. There have been Inuit on Baffin Island for more than 5000 years. There was the continual probing of the elusive Northwest Passage by Europeans, in the hope and belief that the Atlantic and Pacific oceans were connected by a channel somewhere in the Arctic sea ice. That there was a shortcut trade route. Some, like those on Sir John Franklin’s expedition in 1845, died looking, and prompted the biggest search in history. I have passed through the Bellot Strait — 26km long, 2km wide at its broadest part but mostly much less than that — the channel between the most northerly point of North America and Somerset Island. I have stopped at the far end, at the abandoned Hudson’s Bay Company post of Fort Ross. Set up in 1937, it was abandoned after 11 years of severe conditions. Its wooden huts have been preserved by the cold, dry climate. It was the extraordinary Roald Amundsen who first navigated the Northwest Passage on his 1903-06 expedition. Until about 10 years ago, the only ships which stood a chance of navigating it were full icebreakers, even in the summer. But the warming Arctic has meant increasingly ice-free summers — a huge issue for wildlife such as walruses which need multi-year ice to hunt from. 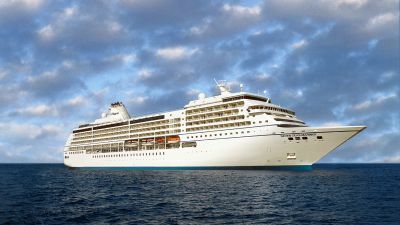 Ice-strengthened ships such as Ocean Endeavour (a 1B ice class ship), Akademik Ioffe and Akademik Sergey Vavilov were most associated with the voyages, but now the ships range into Sea Adventurer, National Geographic Explorer, Ponant’s L’Austral, Crystal Cruises and Silversea. 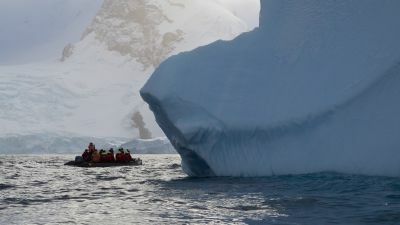 Companies organising Northwest Passage tours and cruises range from Adventure Canada to Hurtigruten and Abercrombie & Kent. The eastern end generally is Kangerlussuaq in Greenland, with visits to the icefield and township of Ilulissat (4000 people, 6000 sled dogs). The Ilulissat Icefjord, recognised as a UNESCO World Heritage site since 2004, churns out between 17 and 20 billion tonnes of ice a year — breaking off the Jakobsahvn Isbrae glacier and pushing out into the ocean. There is the fairytale scene of Karrat Fjord, with icebergs laced by streamers of low cloud. The western end is through Arctic Canada, with some ships stopping at Kugluktuk and others sailing on to Nome in Alaska. Despite all the talk of the warming climate of the Northwest Passage, for me on this September day, it is absolutely freezing. I like that. It seems right. It is -6C, with a sharp breeze adding wind chill. A light snow is falling. As I stand on the icy deck, squinting into the frigid air, eyes watering with it, we are all warmed by two words. “Polar bear”. There is one on sea ice — two black eyes and a black dot nose on a dob of vanilla ice- cream, quite different to the pure white around it. The Inuit people’s nanook of the north. I watch for a long time, then the cold seems to hit my bones. Eventually I retreat inside. The Northwest Passage is full of human stories; some are our own, some are being written today. From Longyearbyen on Spitsbergen Island, voyages explore Norway’s Svalbard archipelago, said to have more polar bears than people. There are many landing sites, ships usually go into the Arctic Circle, beyond 80 degrees north, to perhaps within 600 nautical miles of the geographic North Pole, and to the ice’s edge in the Arctic Ocean. There’s a twist. The Gulf Stream of warmer water flowing north through the Atlantic reaches the Svalbard archipelago, making it perhaps unexpectedly mild in summer. Some trips cross the Arctic Ocean towards Jan Mayen Island, where the Beerenburg volcanic peak rises, on to Iceland, passing the Hornbjarg Cliffs and ending in Reykjavik.